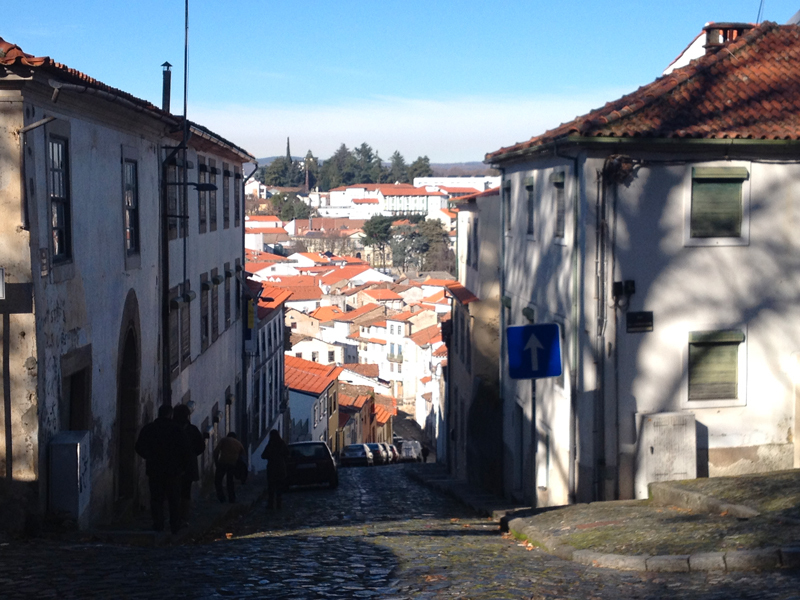 The lovely small town of Braganca in North Portugal hosted the 2014 Smart Travel event, an international forum about new technologies, tourism, ecology and culture. 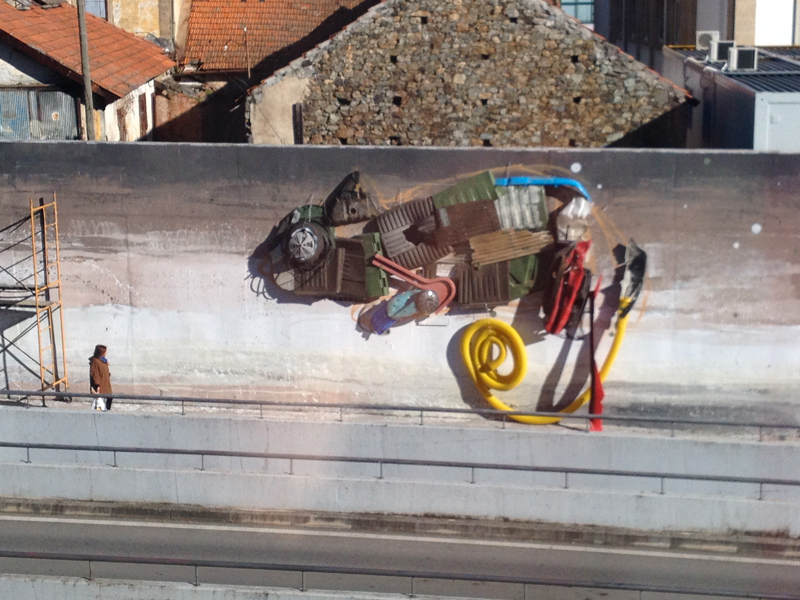 Portuguese artist Bordalo II and myself were invited to take part and enrich the event by bringing a new experience to the city: street art. Branganca doesn’t have a street culture, barely a few tags, and this was the very first time street artists painted there. The reactions and feedback from the local habitants were very positive. 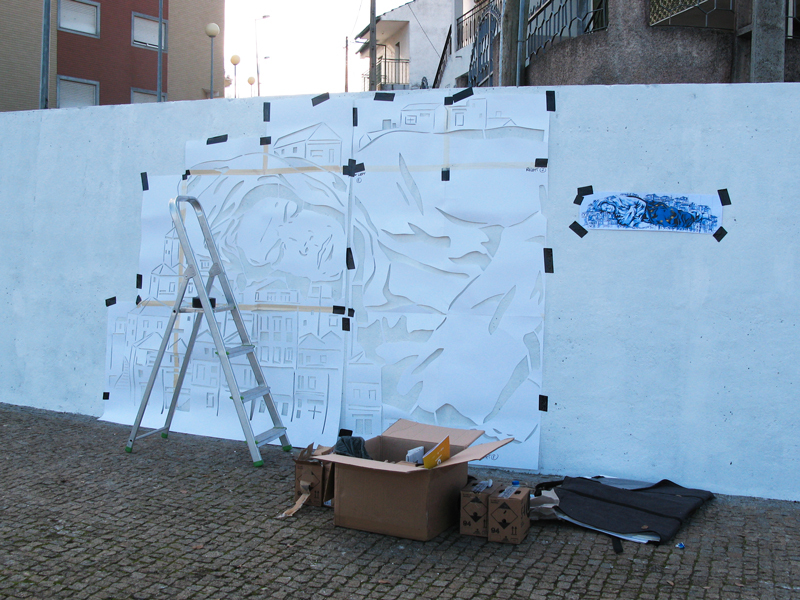 I painted a 8m long mural in the suburbs, my largest artwork in the street so far. 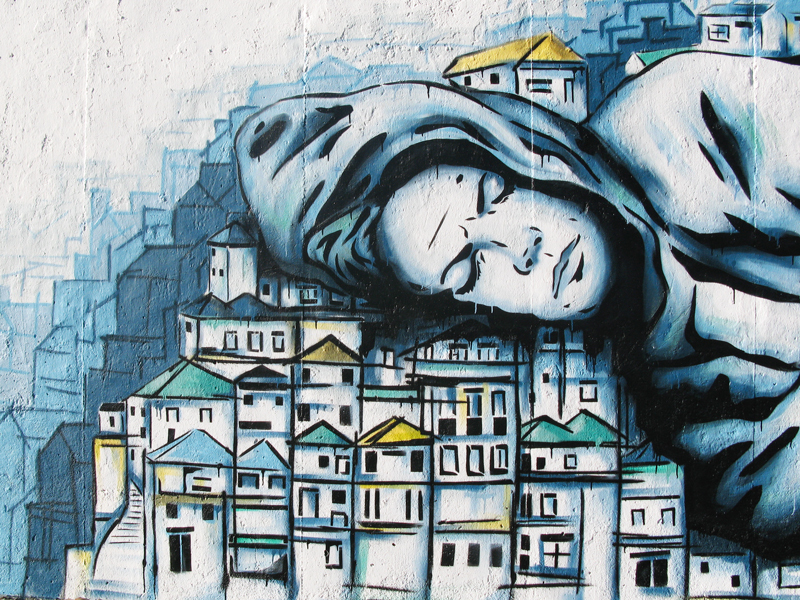 The piece entitled ‘Home Street Home’ depicts a homeless girl lying down, she’s cold, and she’s surrounded by a urban background made of little houses inspired by the architecture of Porto. 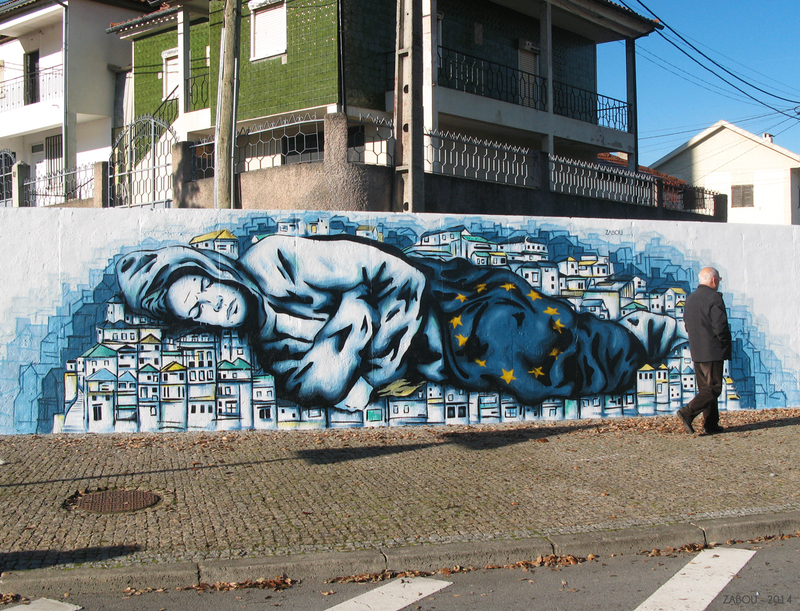 The rag her legs are wrapped in is the European Union flag. 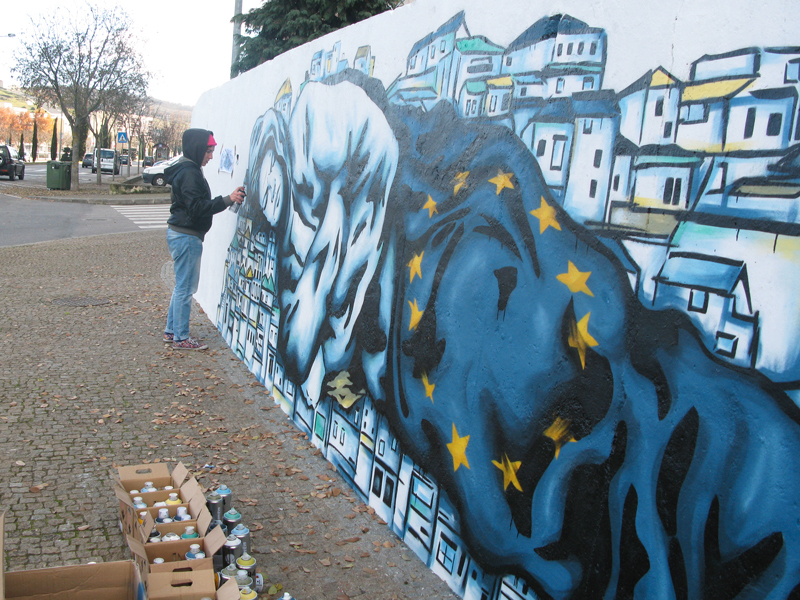 The work acts as a political statement, raising questions about poverty and crisis in Europe. 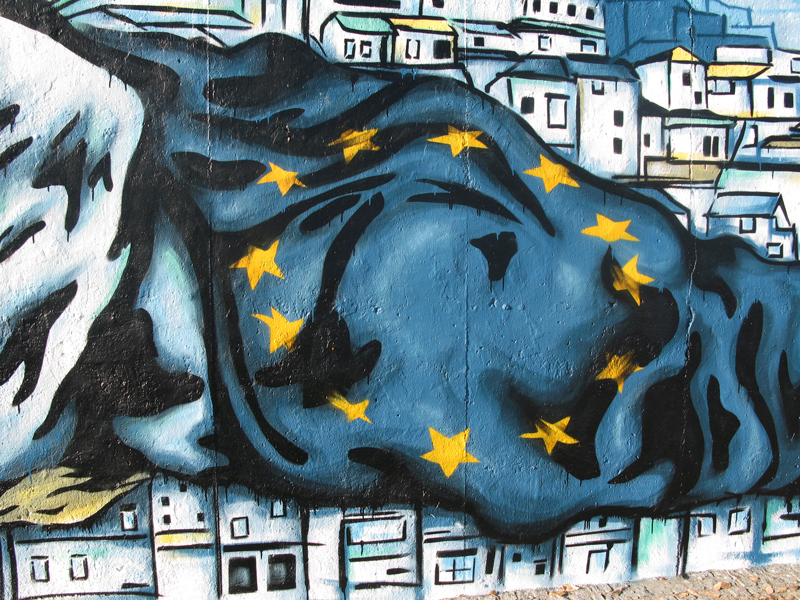 A lot of people including some of my friends had to flew from home to seek jobs, struggle with poverty or unstable situations ; all of this resulting from the crisis that has been hitting very hard on Europe, and especially the Southern countries such as Spain, Greece, Portugal and Italy. CELEBRATING HACKNEYMerry Christmas & Happy New Year!